Beautifully accent any room with these fresh white roses. An elegant way to convey your love,gratitude and appreciation to a special person. 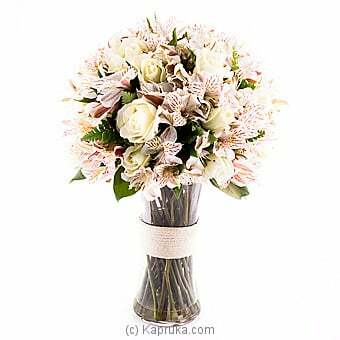 The fresh bouquet of white roses makes a great gift for your loved ones. This beautiful arrangement has made with 20 White Roses, Green Foam and Astermaniya.